For the past half century, federal law has banned employers from discriminating against people based on their age. But since the early 1990s, corporate lawyers and conservative judges have sought to shrink what counts as discrimination, making it substantially harder to prove age bias. Now, a case possibly headed for the Supreme Court could reduce the law’s reach still further. The case involves an Atlanta man named Richard Villarreal, who applied online for a sales manager job with R.J. Reynolds Tobacco Co. in 2007 and heard nothing. When he applied in subsequent years, he had no better luck. What Villarreal, who was 49 at the time of his first application, didn’t know was that Reynolds had retained a subcontractor to review the applications, supplying guidelines that led reviewers to discard his resume and those of almost 20,000 other older applicants. Of the roughly 1,000 sales managers the tobacco company hired between 2007 and 2010, when Villarreal was applying, fewer than a score were over the age of 40. After a whistleblower emerged in 2010, Villarreal sued. The significance of the case is two-fold. It highlights the hurdles for job seekers as hiring has increasingly moved online, where it’s easier for companies to reject whole classes of applicants and harder for people to keep track of their bids for work. And it illustrates how age discrimination protections have been progressively narrowed. The tobacco company’s defense challenges decades of precedent for how the law has been interpreted and enforced. Reynolds has advanced two theories to argue that the 50-year-old Age Discrimination in Employment Act shouldn’t apply to Villarreal: that the Georgia salesman didn’t “diligently” pursue why he’d received no response to his application, even though there was little to spur such pursuit before the whistleblower surfaced; and that a close reading of the law suggests that in cases of indirect bias it doesn’t protect job applicants like Villarreal, only employees. The tobacco company’s arguments were accepted by the U.S. District Court in Atlanta, which tossed out Villarreal’s lawsuit, and last fall by a majority of the 11th Circuit Court of Appeals, which upheld the district court’s ruling. The Supreme Court will decide soon whether to hear the case. If Reynolds prevails, employers will have powerful new ways to shield themselves from charges of age bias. “If this case stands, it will make it harder for individuals later in their work lives to prove they faced discrimination. It will mean less protection for older workers under the key federal law designed to protect against age bias,” said Sandra Sperino, an employment discrimination specialist and law professor at the University of Cincinnati in Ohio. Bryan D. Hatchell, a spokesman for R.J. Reynolds’ parent company, Reynolds American Inc., declined to comment on ongoing litigation. The ADEA’s anti-discrimination language originally matched that of the 1964 Civil Rights Act, which covers race, gender, color, religion and national origin. And for their first 25 years, courts mostly ruled that the provisions of one applied to the other. Even so, it always has been harder to prove discrimination based on age, in part because the ADEA’s authors recognized that in some instances, it’s fair to take age into account in ways that wouldn’t be tolerated for race, gender or other categories. It’s also difficult to know how much age factors into employment decisions. While studies have repeatedly shown employers engage in age discrimination, little is known about its pervasiveness or mechanisms, especially in hiring, which generally is a private matter with few federal or state laws governing employer conduct. Work by Teresa Ghilarducci and colleagues at The New School for Social Research shows that 2.7 million people, or 10 percent of the 27 million Americans ages 55 through 64 and still in the labor force, are unemployed, partially employed or in a netherworld between employment and retirement. A study by Urban Institute economist Richard Johnson and others, which followed workers who were in their early to mid–50s at the beginning of the 1990s, found that almost 8 million, or 25 percent, had been laid off at least once by the mid-2000s. Many ended up working at lesser jobs or being out of work for long periods. The Villarreal case is the latest in a string of lawsuits over the past 2 1/2 decades﻿ in which employers have challenged the scope of the ADEA and won sympathetic decisions from courts. Some see it as part of a larger pattern. “In recent decades, the courts have chipped away at the nation’s age-discrimination laws,” said Sen. Robert Casey Jr. of Pennsylvania, the ranking Democrat on the Senate Special Committee on Aging. The Supreme Court and lower courts have ruled that employers have wide latitude to cite what the ADEA calls “reasonable factors other than age” — things such as pay levels or health costs — to justify treating older workers differently without paying a legal price. In 2009, the Supreme Court decided that a 54-year-old financial manager who claimed to have been wrongly demoted had to prove that age wasn’t just a motivating factor in the employer’s decision — the standard for other forms of discrimination — but essentially the only factor. That’s a bar that plaintiffs’ lawyers and many legal scholars say is nearly impossible to clear. Besides the Villarreal case, the issue of whether the ADEA covers job applicants is being disputed in two other lawsuits, with mixed results so far. In Chicago, a federal district judge ruled that a 59-year-old unemployed lawyer who was rejected for a “senior counsel” position at a medical device manufacturer couldn’t sue because the law doesn’t apply to applicants. The ruling has been appealed to the 7th Circuit. In San Francisco, accounting giant PricewaterhouseCooper LLP used the same argument in asking that a federal district judge dismiss the suit of a 53-year-old rejected for an “experienced associate” position. Last month, the judge ruled against the company, citing an earlier case that concluded, “The ADEA is remedial and humanitarian legislation and should be interpreted liberally.” The firm has yet to file an appeal. Some business groups take issue with the idea that recent court rulings are unfairly narrowing the law. The decisions, they say, simply aim to lock in a distinction that congressional authors of the nation’s anti-discrimination laws always intended — that while it’s necessary for laws to regulate application and hiring when it comes to race and gender to avoid perpetuating past discrimination, it’s unnecessary in the case of age because there’s no long-running bad behavior that needs undoing. “Age discrimination does not consign individuals to a lifetime of disadvantage,” the U.S. Chamber of Commerce wrote in a brief supporting Reynolds. Villarreal had little reason to think that age would be an issue when he first applied for the Reynolds job. He was living on a cul-de-sac in an Atlanta suburb, supporting a wife and teenage daughter by working at Coca-Cola, the region’s iconic employer. According to court papers, he figured his eight years in sales would make him a prime candidate for the Reynolds position, which was described on the website CareerBuilder.com as involving lots of travel to work with retailers and “one-to-one” interaction with consumers. What Villarreal could not see either on CareerBuilder or on the Reynolds corporate site to which he was switched to apply was what was going on beyond his computer screen. And there’s almost no chance that he would have learned about it had it not been for a whistleblower, who contacted a labor law firm across the country almost three years after Villarreal first applied. The whistleblower’s name does not appear in any court or administrative documents. At the start of the case, Reynolds denied allegations that were based on the whistleblower’s material. But it chose not to build its defense on attacking the whistleblower. Instead, the company has trained all its legal firepower on challenging Villarreal’s right to sue in order to get the case dismissed. What the whistleblower’s material shows is that in the years Villarreal was applying, two Reynolds subcontractors in succession — Kelly Services Inc. and Pinstripe Inc. — sorted job applications according to the tobacco company’s “resume review guidelines,” many of which seemed to have little to do with traveling salesmanship, but a lot to do with age. A second version of the guidelines filed with the Equal Employment Opportunity Commission, which had to give its approval before Villarreal could sue, was more direct. Under the “Targeted” heading, it said “candidates ages 35 and under.” Under “Stay Away From,” it said “candidates 35 and over.” In a court document filed early in the case, Reynolds denied that it ever instructed its applicant sorters to stay away from anyone because of age. The guidelines had a big effect, according to statistics provided by the whistleblower and included in court records. In 2007 and 2008, when Kelly was the subcontractor, it received more than 19,000 applications for territory sales manager positions, of which 9,100, or 48 percent, were from candidates like Villarreal with eight or more years of sales experience. Kelly referred about 1,400, or 15 percent, of these to Reynolds for further consideration. In 2009 and 2010, when Pinstripe had the job, almost half the applicants were experienced candidates; it referred less than 8 percent of those. Of the 1,024 sales managers who Reynolds hired between 2007 and mid-2010, only 19 were over 40. 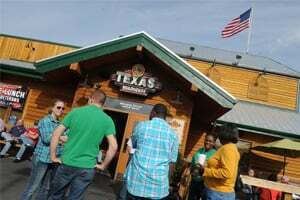 A major bias case against the Texas Roadhouse chain stems from an aggressive government strategy that may not survive the Trump administration. Read the story. “It’s hard to imagine what stronger evidence of age discrimination someone would want besides a company directive to use criteria that disadvantages older people in hiring for a job where age doesn’t appear to be relevant, and the numbers that show the subsequent hiring was skewed against older workers,” James Finberg, a partner with the San Francisco law firm of Altshuler Berzon that received the whistleblower’s material and represents Villarreal, said in an interview. The first things that Reynolds wanted — and what it got from the Atlanta federal district and circuit courts — were rulings that said that, whatever the evidence about company hiring practices, Villarreal had not “diligently” pursued why he’d never received a response to his application by calling to ask or taking some other action, and so he couldn’t sue and the evidence was irrelevant. The legal requirement that people who sue must diligently pursue their rights — in the case of the ADEA, they generally must file a charge within 180 days of when they think they’ve been discriminated against — is designed to protect against frivolous lawsuits and limit employers’ legal exposure. But because discrimination tends to be hidden, courts usually provide flexibility. The reason such exceptions to the diligence rule are needed, according to the court: “Secret preferences and even more subtle means of illegal discrimination, because of their very nature, are unlikely to be readily apparent to the individual discriminated against,” and so can take a long time to come to light. This kind of legal flexibility has been put to the test in recent years as the U.S. hiring market has migrated from newspaper classified ad sections and company human-resources offices onto the internet. As envisioned by internet pioneers such as Robert McGovern, who founded CareerBuilder in the mid-1990s, the new online system would “create liquidity in the job market” by quickly matching the abilities of applicants with the needs of recruiters and would improve fairness by directing attention to individual accomplishments rather than their race, gender, age or other characteristics. That volume prompted many companies to hire subcontractors or use computer algorithms to handle applications. As a result, many applicants were left in the dark. A 2013 CareerBuilder survey of 4,000 workers found that 75 percent never heard back from employers. A 2015 survey of nearly 2,000 hiring executives found that most respond to less than half of applicants. “Current job application and hiring processes are increasingly opaque and anonymous, making it ever more impractical to expect job applicants to investigate employer motives for rejecting them,” Daniel B. Kohrman and colleagues with the AARP Foundation, part of the seniors advocacy group, wrote in a supporting brief in the Villarreal case. 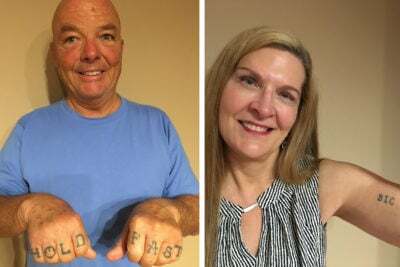 As Villareal’s lawyers prepared to sue Reynolds for discrimination, they believed these changes in the job market explained why their client hadn’t called about his application and didn’t take any legal action until he learned about the whistleblower in 2010. They thought their case met the Atlanta circuit court’s standards for when it would grant flexibility from the diligence requirement. But first U.S. District Judge Richard W. Story and later six of 11 members of the full circuit court ruled that Villarreal was owed no flexibility because he’d failed the diligence test. The circuit court ruling, written by Judge William Pryor, said the Georgia salesman “did nothing for more than two years between his initial application” and being told about the whistleblower. “We have no difficulty concluding, as a matter of law, that a plaintiff who does nothing for two years is not diligent,” Pryor wrote. 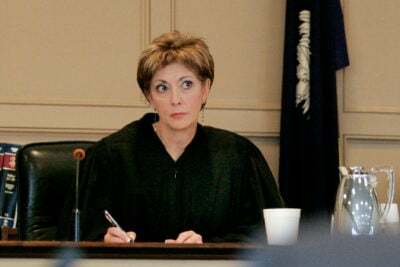 The ruling prompted a ferocious dissent by Judge Beverly Martin, speaking for the five remaining circuit court members. If the 11th Circuit majority had left matters at this point, Villarreal’s suit likely would have attracted little attention. But the court took a big additional step when it adopted the company’s arguments that, in this type of case, the law doesn’t even apply to job applicants. Debate over the scope of the law is rooted in the difference between blatant, intentional discrimination — such as rejecting someone for a job or a promotion explicitly because of their age — and a pattern of biased outcomes, whatever the intention. Blatant discrimination was widespread at the time of the law’s passage. A 1965 report by then-Labor Secretary Willard Wirtz, who played a key role in drafting the law, found that over half of all employers set explicit age limits. Half of all job openings in a given year were closed to applicants over 55. A quarter of them were closed to those over 45. But from the outset, the authors of the ADEA recognized there were other kinds of discrimination besides intentional acts of prejudice. Many appeared on their surface to have little to do with age but disproportionally hurt those later in their work lives and could have been predicted to have this effect. So lawmakers added a provision for such indirect bias, outlawing employer policies and practices that had a “disparate impact” on older people. Who Is Protected — Job Applicants or Job Holders? The 1967 federal Age Discrimination in Employment Act has been used for decades to protect job seekers and employees from bias. 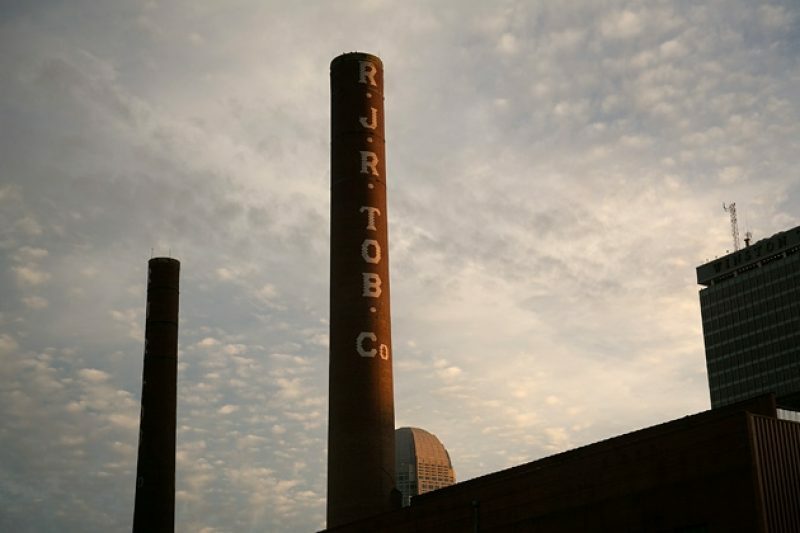 Now the R.J. Reynolds Tobacco Co. has argued successfully in a federal court case that language in the law means part of it doesn’t cover applicants. The case may be headed to the Supreme Court. The phrase in blue has long been interpreted as meaning that the law applies to anyone who either applies for a job or holds a job. Under courts’ interpretations, the phrase in red negates that scope and means the law only applies to employees, not people applying for a job. To be sure, lawmakers included some exceptions that allowed employers to treat older workers’ lives differently than others. But it’s striking how skeptical the ADEA authors were of even the most obvious justification for different treatment, physical condition. Villarreal’s lawyers were convinced that their case fit the age law’s definition of disparate impact, what with Reynolds’ resume review guidelines and the numbers showing their strikingly negative effect on older people. They were ready for the tobacco company to challenge their evidence of disparate impact. Instead, Reynolds made a more sweeping argument; it asserted that the disparate impact provision doesn’t apply to job applicants such as Villarreal at all. 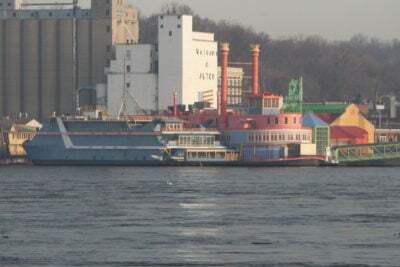 In his brief, Eric Dreiband, the tobacco company’s lead lawyer, a partner with the New York-based law firm of Jones Day and a former general counsel with the EEOC, said the law’s “text and structure” clearly shows the provision refers only to employees and their status, not to applicants. Though it’s indisputable that the ADEA’s language on disparate impact makes no mention of job applicants, lawmakers debating the measure before its passage spoke openly and often about the need to boost older Americans in the workforce. “In simple terms, this bill prohibits discrimination in hiring and firing,” said Ralph Yarborough, a U.S. senator from Texas who was the measure’s chief sponsor. Given this, it’s tough to understand drawing a line between employees and applicants, according to Michael Selmi, a law professor at George Washington University. “What sense does it make to have a law designed to ensure a reasonably age-diverse workforce if you say that its provisions don’t reach the people who’d help make up that workforce — older workers applying for jobs?” he asked. The ruling appears to be at odds with a longstanding Supreme Court doctrine that, when legal language is unclear, courts should defer to the federal agency in charge of administering a law. While the Atlanta court was deeply divided about the legal language in this case, the administering agency, the EEOC, has consistently said that all of the provisions of ADEA apply to both applicants and employees. Efforts are underway to strengthen the ADEA. For example, Casey, the Pennsylvania senator, recently co-sponsored a bipartisan bill that aims to restore the parallel in legal standards for proving discrimination in the case of age with those for race, gender and other forms of discrimination. But until the courts or Congress clarify the law’s reach, “hundreds of thousands of older workers,” according to Villarreal’s plea for the Supreme Court to hear his case, will face the new online hiring market with growing doubts about their protection from bias.